Chatting Over Chocolate: Five Loves on Friday IS BACK!!! 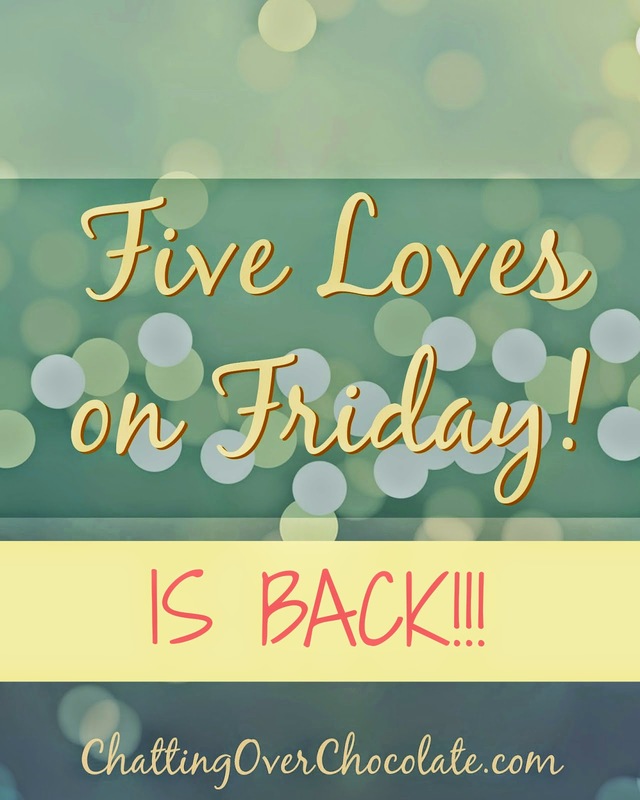 Five Loves on Friday IS BACK!!! 1. 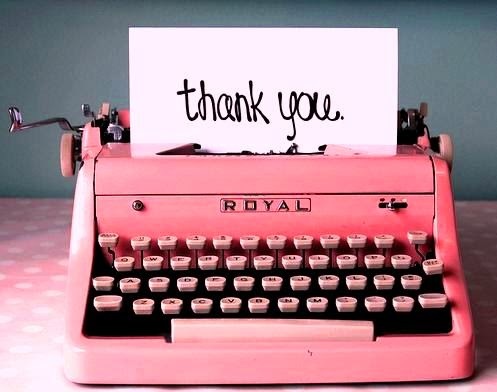 First off, I'd like to say a BIG THANK YOU to all of you who took the time to complete my 2nd Blogiversary Feedback Survey! 2. My New Convection Oven!!! I couldn't be more excited about this!! We've lived in our home for 15 years now, and I've been using the (used) oven that came with our house ever since. Jason has made many repairs on it over the years. He's so awesome about doing work himself to save us money, also allowing us to avoid replacing things before it's really necessary. Recently, it become necessary. Our ancient oven decided it had a burning desire to cook. all. day. long! It began turning on by itself. Yes, you read that right. We'd hear it beep, beep, beep that it had preheated itself continually! I began unplugging it any time it wasn't in use out of safety concerns. Wednesday night while our girls were in classes at church, my sweet hubby took me shopping and we purchased our first new convection oven! The sweetest part of the night had to be when we were making the final decision on which one to purchase and I asked, "What do you think, Jason?" In his typical sweet style, he replied, "Whatever you want." A sales manager nearby heard and shouted, "Oh no! You never say that! We'll be heading over there!" as he motioned to a designer kitchen display. Yet, Jason meant it ...also knowing his frugal wife would want the best oven that was within our means. ;) Being that it was January 14th it sort of felt like Valentine's Day came a month early! Princess prepared her first dinner for the family this week! She made balsamic roast beef in the crockpot all by herself. It was delicious! What a beautiful thing it is to see her so eager to learn new skills that will benefit herself and others in the years to come! Pony Cafe / Snacks Prepared with a Joyful Heart! Little One opened the "Pony Cafe" in our home this week, complete with a hand drawn menu of snacks, meals, and desserts that she will make and joyfully deliver to her mom, dad, and sister any time day or night! This has been such fun! She has a great time creating unique and adorable food presentations, and who wouldn't love free room service, in any room, anytime, served with a smile? 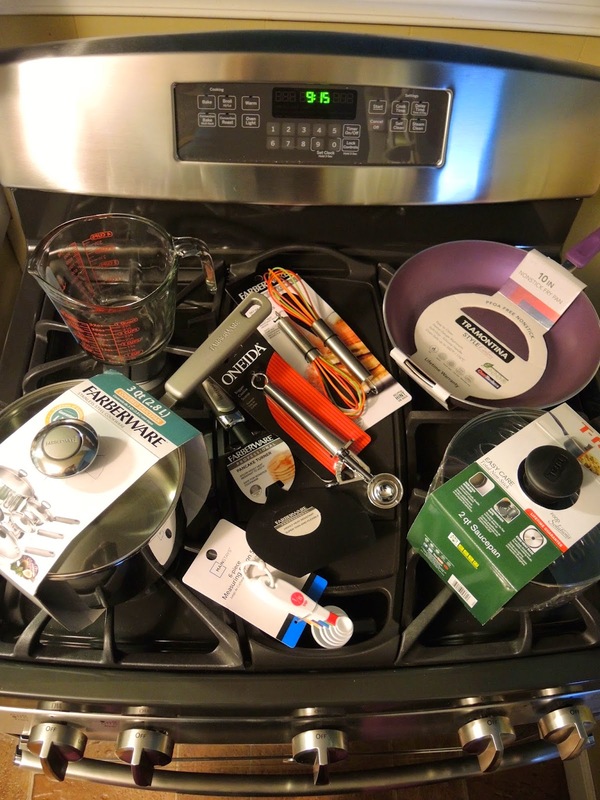 As if the new oven wasn't enough to get excited over, we replaced a bunch of our kitchen cookware and gadgets too! I've held onto stuff for a while now that is in pretty bad shape. Jason really wanted me to have some nice new things to enjoy using when cooking and baking with my new oven. He's sweeter than the chocolate chip cookies I can hardly wait to bake later today! ;) Also on the weekend menu, his favorite, Cheesy Eggilicious BACON-Y GOODNESS (super simple & mighty delicious quiche)! 5. 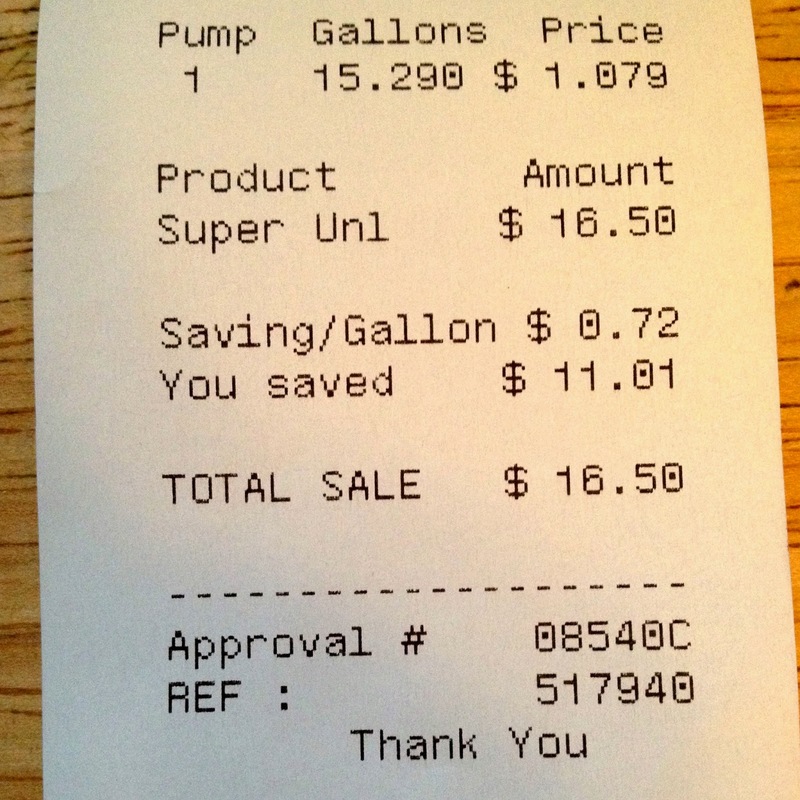 We filled our car up from empty for just $16.50! I had to show you the receipt, because I thought you may not believe it if you didn't see it with your own eyes! We are still in shock that gas prices are below $2 a gallon in our area! Our grocery store also offers some fuel saver deals which we take advantage of whenever possible. In the past few weeks we've accumulated a 72 cent per gallon discount from our grocer's fuel saver program, pairing that with the already crazy low gas price, we were able to fill up for a total we hadn't seen since Jason and I were newlyweds! I still can't believe it! It's the little things ...especially when they save you big money! *happy sigh* I hope the prices are dropping at pumps near you all, too! 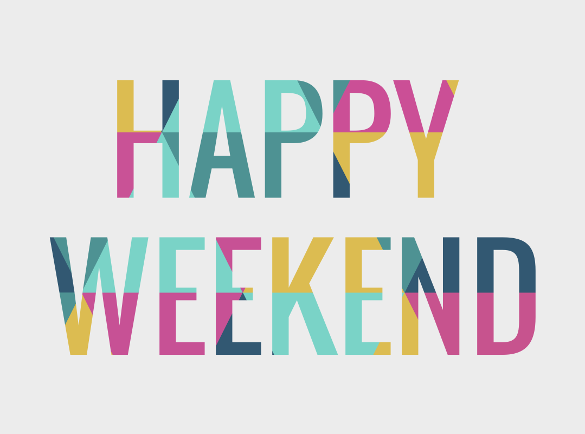 Have a lovely weekend, everyone! 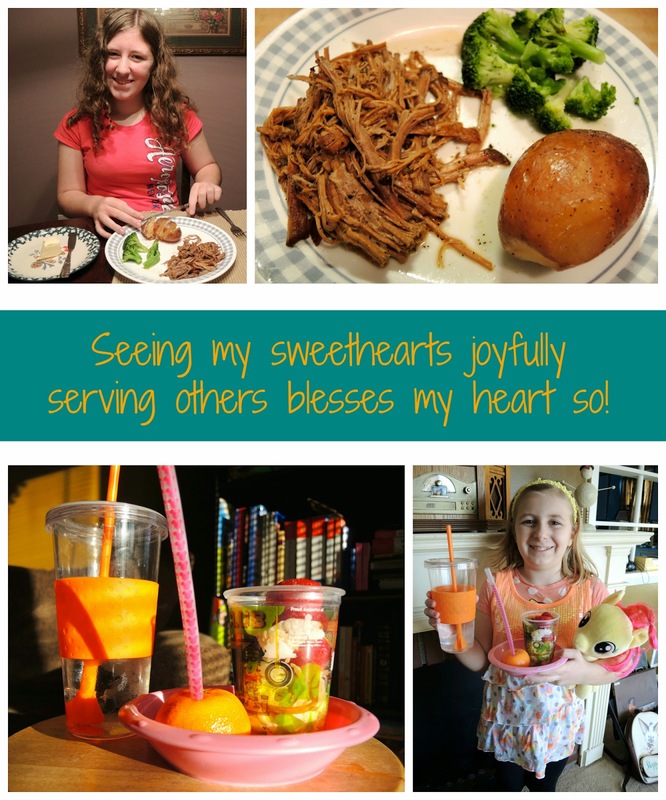 I'm so excited to be back blogging once again and look forward to sharing with you again soon! Thanks for taking time out of your day to pay me a visit! I'd love to hear from you in the comments section below! It is great to see you back doing your blogs again. The new oven looks awesome!!!! The meal Princess made looks wonderful. I like crock pot meals too. Wow, I have not seen gas at $1.07 in a very long time. My last fill up gas here was $1.98 Lower gas prices are great all around whereever you are. Have a great weekend. Definitely giving thanks for these lower gas prices and fuel perk reward programs! Fingers crossed that these prices will continue through summer. Yay for the new oven!! 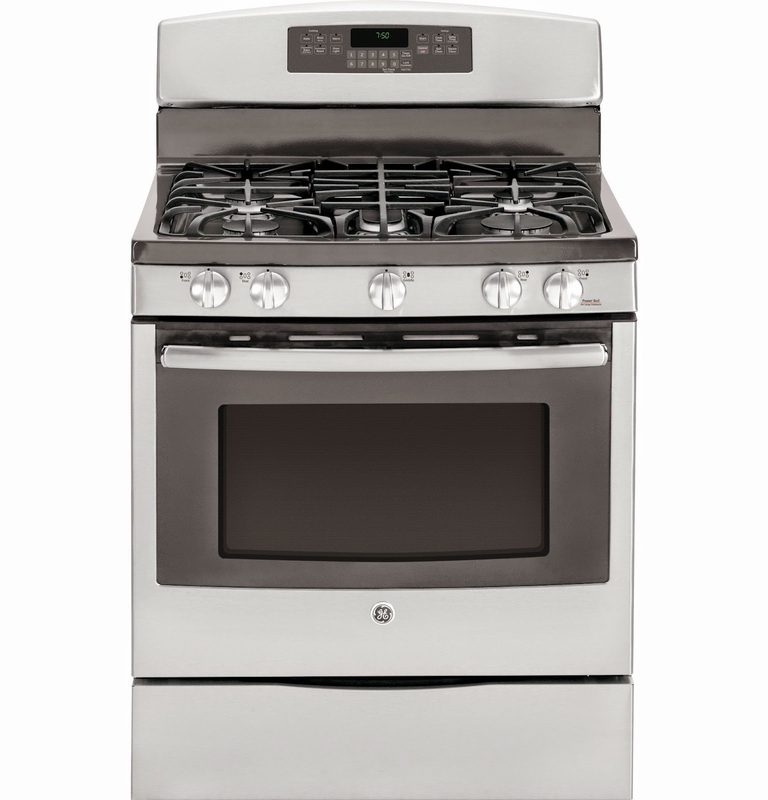 I love cooking and would love nothing more than a super awesome state of the art stove/oven. Aren't the gas prices insane? Loving it. Makes driving three hours round trip to Disney a bit easier on the pocket, esp when everything at Disney is not so easy on the pocket. Love that she cooked and wanted to and it was awesome!! Again, not something I did as a kid. I really didn't much care for the kitchen until I got married. I hope Aria enjoys it younger than I did though, I love getting in the kitchen with her now. Hooray for a new oven, esp one that doesn't turn itself on. And new kitchen tools to use with it, that is a nice month early V-day surprise! Aww your girls are just so sweet! I love that Little made her own menu :) That's adorable! I love your oven! Doesn't it make it exciting to cook??? Gas sure is low! It's crazy!! Glad you're back, Brenda! !